The LABOCOL Vario-4000 fraction collectors are characterized by their small dimensions combined with an optimal space utilization. The open system without limitation of the fractions and vessel sizes can be tailored to individual needs. The fraction collectors of the LABOCOL Vario-4000 series offer the corresponding program for each application and are flexible to handle. 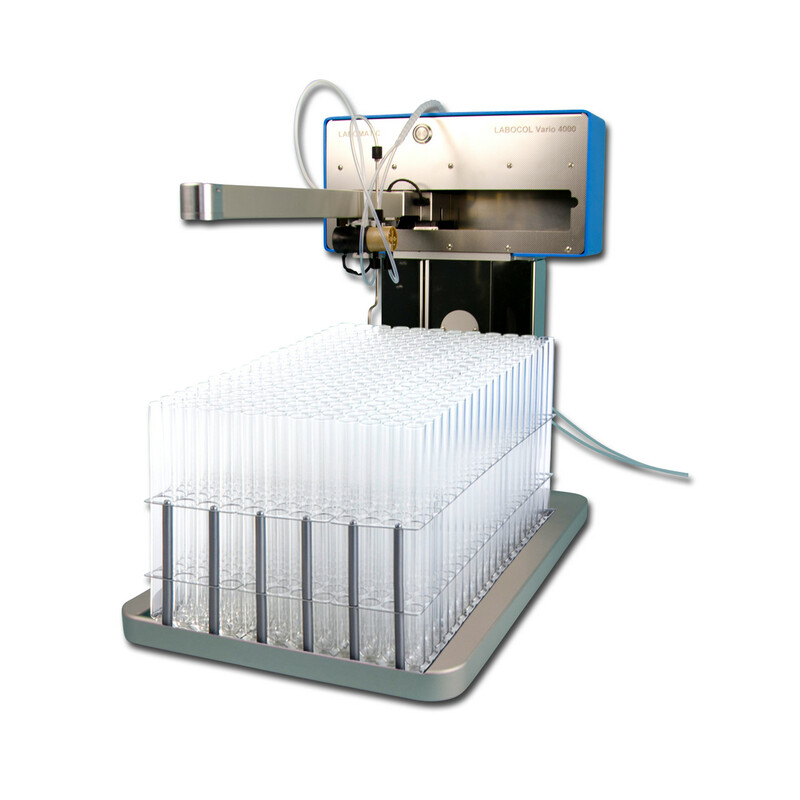 The versatile application possibilities make the Vario-4000 series ideal for use in research and development as well as in production. The individual Vario-4000 models differ in the base area and the flow rate range. Vials are placed in appropriate racks on a total floor area 30 x 50 cm (width x depth). Different rack types are available, which are specified under rack types. The fractionating surface provides space for three different racks. The diverter valve for 1/8” tubing decides between fraction and waste. Kategorie: Kolektory Frakcji. Autor: knauer. Dodaj zakładkę do bezpośredniego odnośnika.